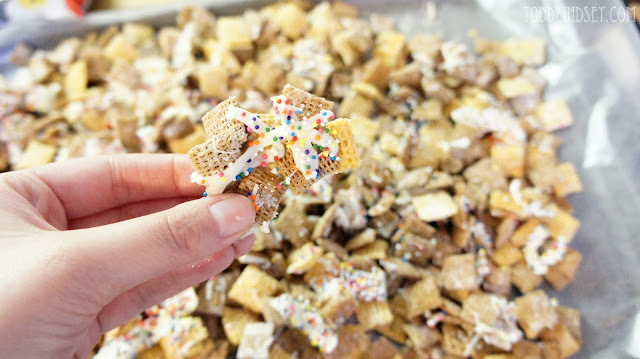 I made this Chex Mix for Todd's birthday party a few weeks ago. 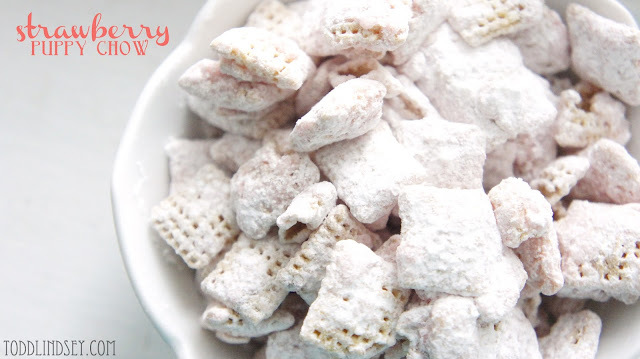 If you like a super sweet snack, this is a recipe for you! I got several compliments on it so I guess I will be making it again soon! In a microwave safe bowl, melt the wafers in increments of 30 seconds, stirring in between until smooth. Stir in the food coloring until the mixture is no longer streaky. Stir in the cake mix; it may get a little lumpy. Pour the mixture over the cereal. Gently toss with your hands, being careful not to crush the cereal, until the Chex is evenly coated. Oh get out! This is crazy awesome! My sis and I miss making puppy chow because we have kids with peanut allergies...this is the perfect substitute!!! Pinning!!! That sounds delicious! Did Todd have a good birthday party? This looks nice to put out for when my FIL comes over. He likes to snack. This looks SO yummy! 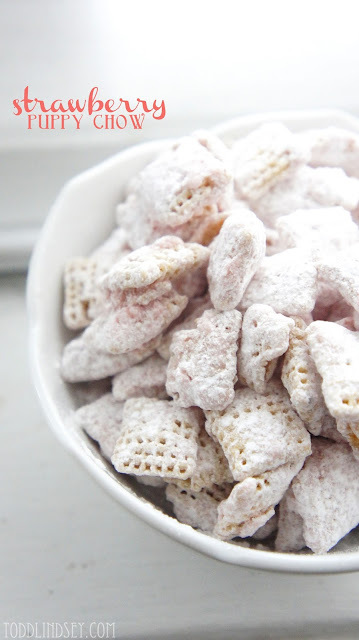 I have a slight addiction to puppy chow, but I've never tried strawberry. Thanks for linking up to Give Me the Goods! It is such a pretty color!!! It's spectacular! So PRETTY! And the kitty is so adorable and goes with the decor! I wrote a long reply explaining the toilet should you have any more problems and refinishing the tub, but I lost it. Don't refinish the tub until you know if there is any plumbing issues behind the shower walls. If it is simply cosmetic you can refinish the tile or replace it. But you can't refinish the tub until the plumbing is okay. If it is simply cosmetic then you are okay. We had plumbing work that had to be done behind the wall. 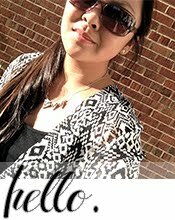 If you have any more issues with the toilet look at my blog. I think I explained what to do and what to buy. My father is a plumber and he knew what toilet and what ring would fit over that opening properly without any plumbing issue. Fortunately all the pipes in our bathroom were copper, not galvanized. If it is galvanized leave it alone. It may let go, it may not, but dealing with it is a can of worms. So you just wait. There are people out there that are unscrupulous. Fortunately I had my dad advising and checking with the plumbers out here. Even though he has a license in this state too, he couldn't come out to do the work because he is sick.